Finding sustainable bedding that doesn't compromise on quality or comfort can be a difficult (and frustrating!) task. 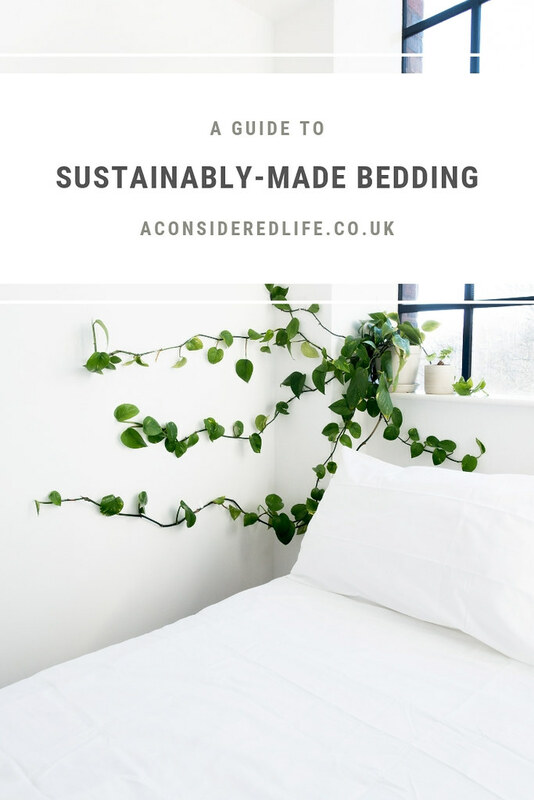 I recently delved into all the eco-friendly and sustainable options available; hopefully, if you're in need of new bedding, this guide will make it a little easier for you to make a decision of what to buy. Don't forget to check out my sustainable homewares directory for more information about decorating your home the low waste, eco-friendly way. I'm waiting for my current duvets and pillows (which have so far lasted years) to wear out completely before replacing them with eco-friendly versions. But if I was going to invest, the best choice I've found are Green Fibres, Fine Bedding Co, Panda, and Fou Furnishings. 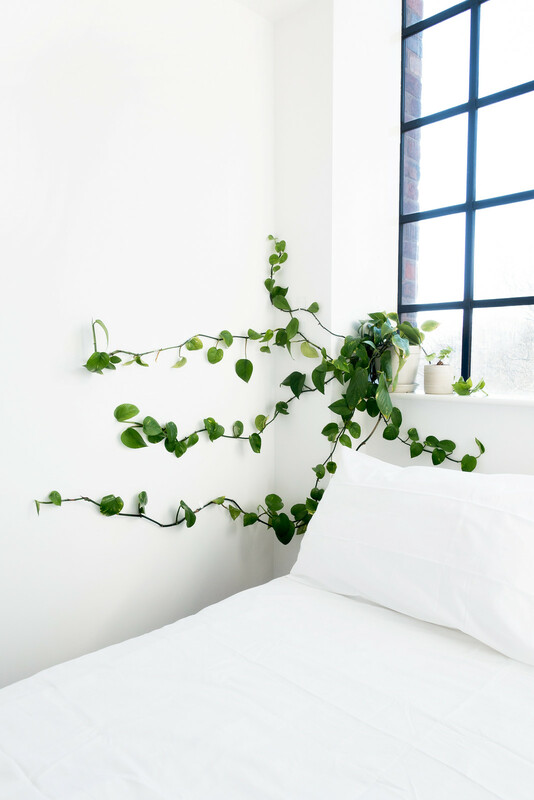 If I were updating my set, I'd opt for the Green Fibres Organic Duvet made from GOTS and Soil Association certified 100% organic cotton, and Green Fibres Kapok Pillow made from a hollow fibre that mimics down without the cruelty. Green Fibres offers a range of duvets and pillows, as well as mattress pads and underlays and even bedding suitable for children. Alternatively the Panda Cloud Duvet and Panda Bamboo Pillow are great options if you prefer memory foam; bamboo is naturally antibacterial making them ideal for anyone with sensitive skin, hay fever, or eczema. 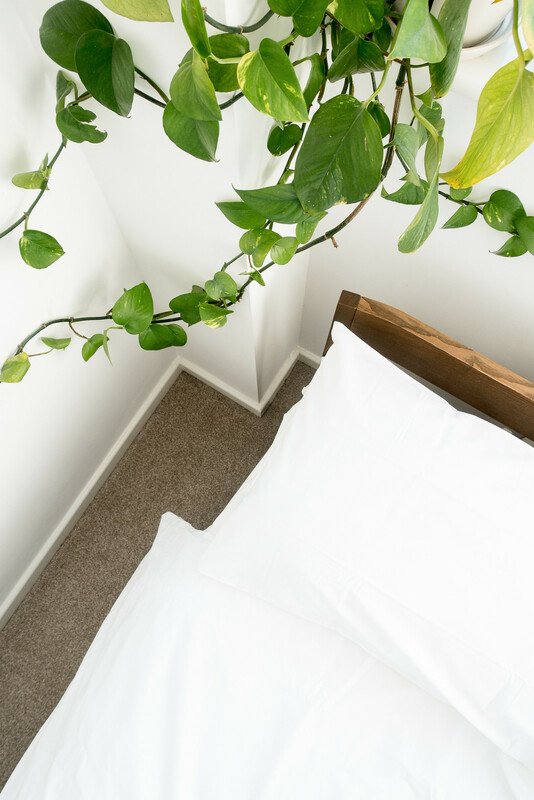 The Fine Bedding Eco-Duvet has a microfibre filling made from 100% PET plastic bottles and is created using 100% renewable energy, while the Fou Furnishings Organic Cotton Duvet is made from 100% GOTS organic cotton. Sheets, in my opinion, make or break how comfortable your bed is so it's worth investing in them. I recently upgraded my bedding to a set made by Dip & Doze. I ordered the Original White Set* in the 'soft and smooth' option, which means the sheets become softer and softer with every wash. There's the option of 'cool and crisp' if you prefer the feel of luxuriously crisp hotel sheets. Made from 100% GOTS organic and Fairtrade cotton with buttons made from coconut shells; Dip & Doze take an ethical approach to everything from the fabrics used to the buttons that secure them. They even arrive in minimal, recycled and recyclable packaging with a reusable drawstring pouch made from the offcuts of production to help keep your sheets protected when in storage - although I try to wash and dry my set as quickly as possible so I can put them back on the bed! Like me, Dip & Doze don't believe in constantly making new purchases but prefer to encourage investing in fewer beautifully made items that last. 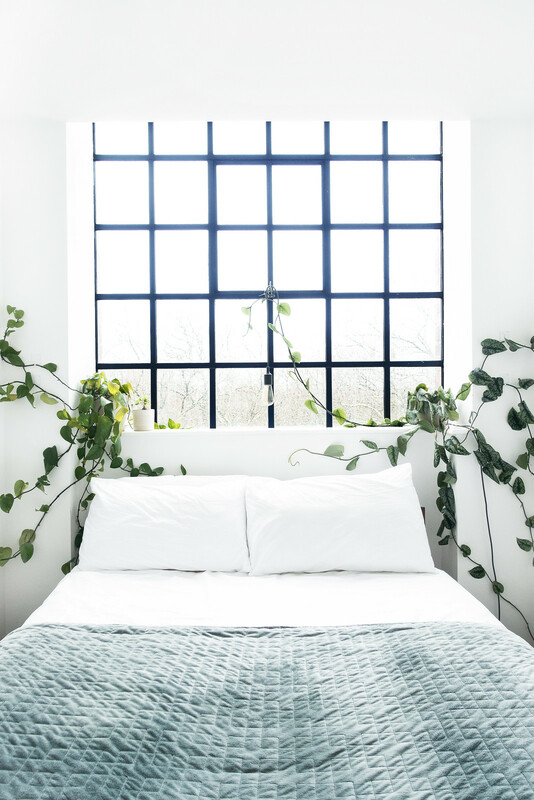 When we spend 33% of our lives asleep, it's worth having dreamy bedding and the best kind is the sustainable kind. Not only do Dip & Doze use cotton grown without the use of chemical pesticides, fertilizers, or genetically modified organisms, it's grown using 80% rainwater, and the Fairtrade certification ensures the farmers, weavers, and factory workers are paid and treated fairly too. Other places you may want to shop for bed sheets: Sleep Organic, Fine Cotton Company, and Fou Furnishings. Although I haven't tried and tested any of these, and highly recommend Dip & Doze for their quality and comfort. A weighted blanket can help you to sleep better as it's said to relieve stress, reduce anxiety, and improve sleep by providing a calming effect that enables you to fall asleep faster. It's one of the reasons, until recently, I'd been piling blankets on top of my duvet when the weather is cool enough. I've since upgraded to a Beyond Blanket Weighted Blanket designed to be 7-12% of your body weight and provides a grounding experience. Beyond Blanket offer refurbished blankets*, which after being returned by customers, have been washed, ironed and re-packaged. Delivery is carbon neutral and Beyond Blanket are soon making the switch to sustainable packaging too. The Beyond Blanket is a lovely blue-grey colour that looks beautiful on white sheets. If you prefer something more decorative to throw over the top, try the Luma Diamond Blanket made from recycled plastic bottles or their range of vintage throws, if that's more in-keeping with your style. The Future Kept has a wonderful selection of throws too, including this grey one which also comes in a beautiful clay shade. I have a election of second-hand blankets, passed down from my mother, or gifted to me. If you're looking for extra blankets and throws, try shopping second-hand before purchasing new.